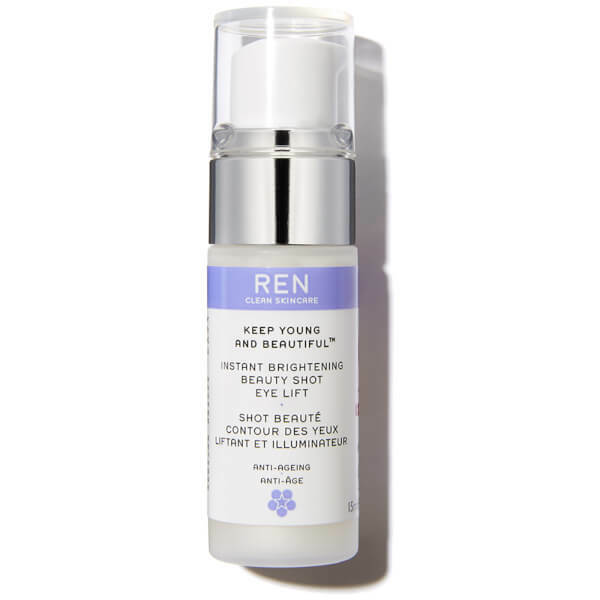 Rejuvenate the delicate eye area with REN's Keep Young and Beautiful™ Instant Brightening Beauty Shot Eye Lift; a powerful formula that works to tighten and refine eye contours and restore luminosity. Strengthening and hydrating, the fast-absorbing treatment can be applied under make-up to reduce puffiness, dark circles and signs of fatigue, whilst firming ageing skin and revealing a youthful-looking appearance. 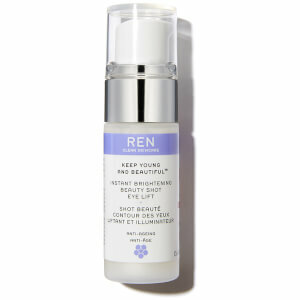 Boosts elasticity and micro-circulation so you can experience a smoother, more supple eye area.